Wow. 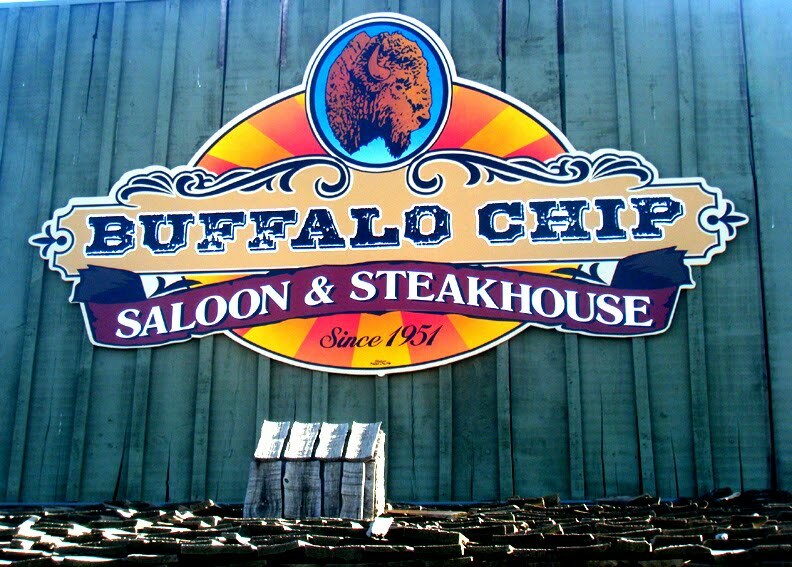 The Buffalo Chip Saloon and Steakhouse is another huge, western-themed place with a big patio with picnic tables and fire pits. 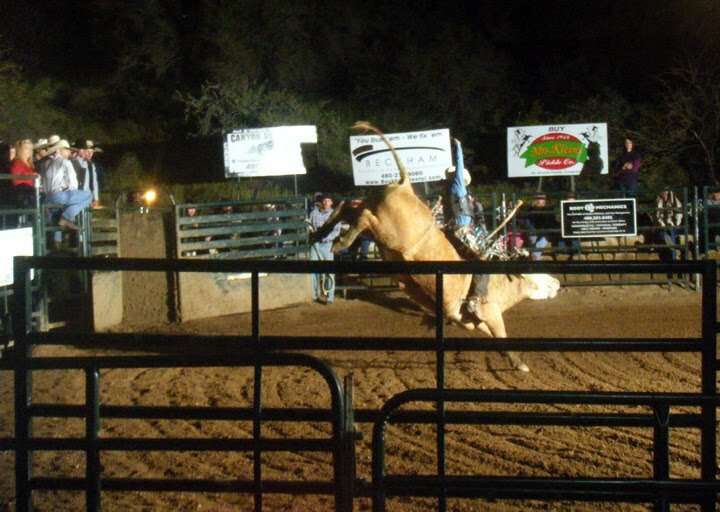 I have to give it the edge over Harold's, Greasewood Flat, and the Horny Toad -- how many bars do you know that feature real bull riding? 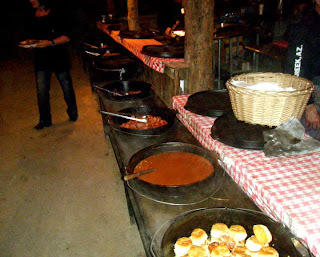 On Friday's the Buffalo Chip also features an all-you-can-eat fish fry (walleye, lake perch, cod and catfish) and a huge barbacue option with brisket, sausages and such in big vats. 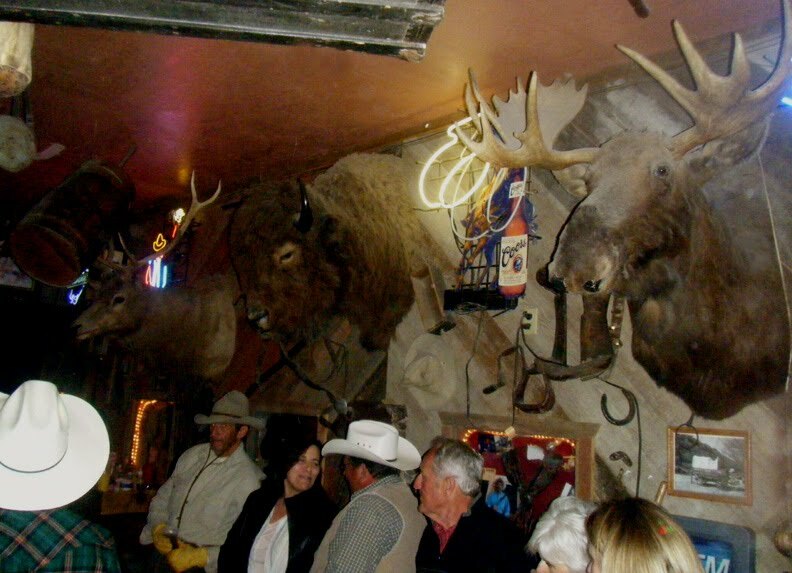 Of course it attracts the standard Cave Creek crowd of cowboys, bikers, retiree, and tourists, but I also liked the people and conversations here best. 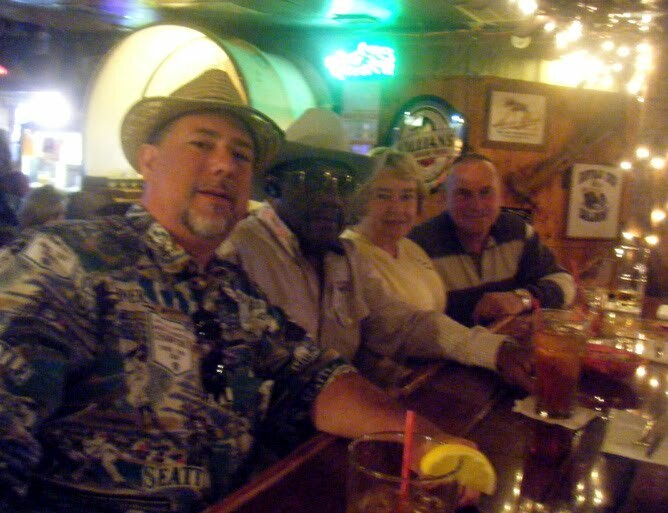 In the picture with me is Jerry and his wife from Illinois, and Jimmy, who served in WWII before the services were integrated, retired from the auto industry and moved out here, and at 80 still rides his horse virtually every day. Paul the bartender was very cool, and around the corner was an older woman with a huge wedding ring, beat-up cowboy hat, and heavy mascara saying into her phone, "Zoe, it's grandma. I'm at a bar." 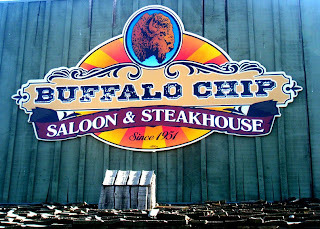 Good food, decent drinks, good crowd, live music and dancing 7 nights a week -- I plan to make this a staple of my Arizona trips.